Yesterday afternoon we attended a tasting of 12 wineries from the Terra Alta region that took place in Pla de Palau, Barcelona to celebrate the 30th anniversary of their DO. This is a region that’s in the deep southwest of Catalonia, just a bit inland from the sea. 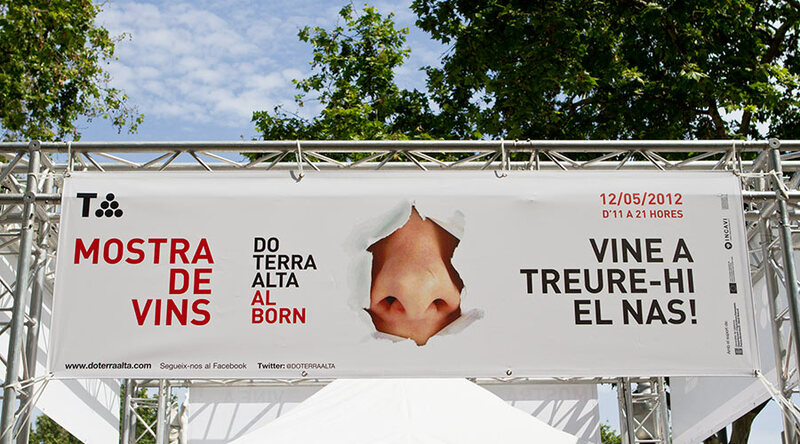 Naturally, it was put on by the DO Terra Alta who have been recently ramping up their outreach. Although despite having a wine guide for the Empordà region on the other end of Catalonia, we only stumbled across this event online by accident. And, this is despite the fact that we’ve even had Terra Alta on our radar for some time due to sommelier Mònica Farré putting a selection on the wine list at La Plaça in Madremanya. For those unfamiliar with this DO, it shares a similar history as that of Empordà and Catalonia as a whole. Wine was introduced to the area by the Romans. It saw its production go up and down through the years with a big boost in the medieval period. Phylloxera wiped out everything. They restarted, formed collectives, quality dropped, the DO body was formed in 1982, small producers started up, and the quality has been steadily increasing each year. Currently there are about 30 wineries that are part of this DO and their wines are starting to be known outside of their region. 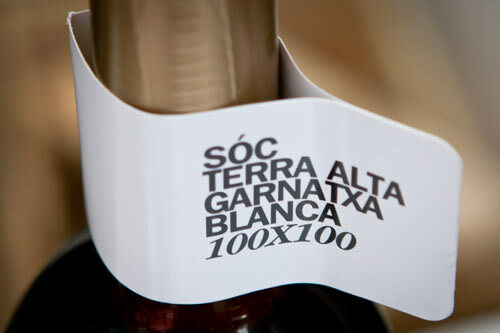 Currently the big push from all the wineries in the region is their White Grenache (or “garnatxa blanca” in Catalan). We had been quite familiar with this grape as it’s grown a lot up in Empordà and can be fantastic. The Terra Alta growers make a very different type of wine from it though. Where the northern variant can have a wonderful body with deep mineral components, these whites were, overall, rather sweet. We were told by some winemakers that it’s due to the climate in that there is a wide variance between hot days and cools nights, thus stressing the grapes and increasing the sugar. A few of the White Grenache we tasted, though, drifted more towards minerality and deeper aspects, so it seems like it’s also something of a stylistic choice. This event seemed to be one of the firsts they’ve done, or at the very least, it was the first for most all of the wineries at it. You had to buy a book of tickets to taste the wines, which is fine by us. But, while most of the wines were one ticket to taste, many others required two or three. Adding in to this is that they weren’t consistent as wineries such as Lafou who only have a single, reserve red wine that’s quite deep and tasty, but costs 30€ was charging three tickets for a taste. Then other wineries with 6€ wines were charging two tickets for a taste. It created something of a mess and it somewhat missed the point that events like this are more to expose people to wines they haven’t heard of rather than make money off of them. Being that it was outside in a square with a bit of foot traffic, charging made sense given that there were no end of tourists wandering through who wanted to get drunk (in addition to a couple of dirtbag anarchists yelling at people as the day wore on). But, if they’re trying to open up new markets, this probably isn’t the best way to go about it. Overall, it provided for a good taste of the wineries that were there. This regions feels like how Empordà was maybe 5-10 years ago and if they do things right, it could inevitably lead down the same path to greater quality and recognition. Read up more about our takes on Altavins as well as Celler Frisach.